• Our menu is designed to supply a third of a child's daily nutrient requirement. • We have regular promotional events and theme days to fit in with popular occasions and the National Curriculum. This helps make lunchtimes fun for pupils. • A school lunch is a quality alternative to a packed lunch and actually works out cheaper if you count up all the items taken from your store cupboard. • A cashless payment system is operating throughout most of the borough. • All our school meals are freshly cooked by our qualified staff. • Pupils have access to fresh fruit, vegetables, salad and water daily. • The food we serve is locally sourced and we offer seasonal produce. • We offer culturally diverse menus that meet the needs of individual schools. • Our menus are designed to encourage pupils to try new dishes. To ensure pupils are satisfied with the quality and taste of our school meals we are committed to completing customer consultations and surveys at all levels. Several of our school pupil councils sample new recipes and give opinions on our services. Enfield Catering has joined the ‘food for life' Catering Mark and is in the process of achieving the bronze award. It shows our commitment to the use of locally grown produce and the quality of the ingredients which we purchase. We also try to ensure much of the produce we use is seasonal, as well as locally sourced. Examples of locally sourced produce include salad items, onions and potatoes that are sourced from the Lea Valley. It's important for children to eat a healthy and balanced diet to improve their concentration and give them lots of energy. We spend a lot of time working on our menus to create healthy and nutritious dishes that pupils will love. Our menus change twice a year and we attempt to make some seasonal changes. We can also provide for specialist ethnic and therapeutic diets. If this is something you require please speak to your child's school who can then liaise with us. We see a school lunch as an integral part of the whole school day. Sitting around a table to eat and hold a conversation is part of social education. Our school meals are freshly cooked daily by our qualified and trained staff. The majority of schools in Enfield have their own kitchens. All of our menu and recipes are developed in consultation with stakeholders and customers and exceed the requirements of the Government's nutritional standards. We have our own nutritional advisor who analyses all the menus before we serve them in schools. From September 2014 all pupils in Reception, Year 1 or Year 2 will be able to receive a free school meal. School meals in Enfield are healthy, tasty, social and fun. Choosing a school lunch for your child/children will help save you approximtely £400 per year if you take up the offer. It is still really important that you register your child for free School meals if you child is in Reception, Year 1 or Year 2 - to ensure the school receives extra funding for your child's education (Pupil Premium). It is still necessary to register your child for this even if you do not want your child to receive a free meal. Please ask the school office, or call Pupil Benefits on 020 8379 5367 if you haven't completed the form. • Receiving Working Tax Credit ‘run-on'. Enfield's Education Catering Service has worked in partnership with Nationwide Retail Systems and ParentPay to introduce a cashless school meals system for Enfield Schools. The system allows parents to pay for school meals via the Internet or at various PayPoints spread throughout the Borough. Parents do not need to send money into school for their children's school meals and worry about the issues that can arise when money is lost on the way to school or is not received by the school office. As the children collect their meal in the school dining hall or cafeteria, the catering staff identify the children by their photo for younger children or biometric print for older children. 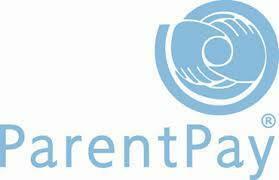 The ParentPay account is then debited with the cost. One of the main benefits of our cashless solution is that all children can purchase their school meal in the same way, including those children eligible for free school meals. For those children eligible for a free school meal, the ParentPay account us automatically credited each day. Get ideas for healthy starchy foods. Unsalted nuts are a great snack food for children to have at home, but it's best to leave them out of your child's packed lunch. Many schools ban nuts to protect pupils with a nut allergy. “You are what you eat!” The sorts of foods you eat in a day actually become a part of your body. So, if you choose the right sorts of foods, you’ve got a much better chance of staying healthy. Visit the Nestle Healthy Active Kids website for more information.